One very important factor when it comes to signing up with an online casino is also one that is too often ignored. When you are dealing with a site where you are providing personal information, not to mention carrying out financial transactions, it is very important to be able to trust them. Despite appearances, the Casino Gorilla is quite a cautious chap and will only ever play online at trusted casinos. Security is vital when it comes to online casinos and we only ever recommend the safest and most trustworthy sites on these pages. If you are ever unsure about the credentials of an online casino, the first thing that you should check is the license attached to the casino in question. Every reputable casino will be licensed, and if you cannot find a license then you should consider that to be a major red flag and avoid at all costs. It is very simple to find out where an online casino is licensed, you can simply scroll to the bottom of any page and you should find the logo of the regulator of that particular casino. Of course, as with everything, not all licenses are equal, and some regulators are more respected within the industry than others. The Casino Gorilla knows the good from the bad, and we are going to share that information with you now so that you will be fully aware of what kind of casino you are dealing with. Let’s start by getting the weakest online casino licenses out of the way. While you may think that any license must be better than none, in truth there is not much value in a casino license from Belize, Costa Rica or Panama. These licenses are ones which any casino can effectively purchase as long as they have sufficient finances. The licenses are therefore not worth much more than the piece of paper they are written on and of very little value in real terms. If a player should have a dispute with a casino licensed by one of these regulators, they will not be able to expect any assistance from the regulators. Panama: Panama has been offering online gaming licenses since 2002, although there are not very many online casinos which operate under this regulator. A license from this authority costs around $40,000 for the first year and $20,000 for each year thereafter. Costa Rica: The Costa Rica license costs around $50,000 per year but companies operating here can benefit from the absence of corporate taxation. Belize: Belize has been offering gaming licenses for both land-based and online casinos since 2000, having recognized the potential of this industry from an early stage. Again, not very many online casinos have availed of the opportunity to take out a license from this territory. The next regulators do have value and offer a higher level of security to players. Our Casino Gorilla has put the Gibraltar, Kahnawake, Curacao, Antigua and Barbuda regulators into the ‘pretty good’ category. It is much more common to find casinos holding one or more of these licenses and players can expect to get a response if they approach one of these with any complaints relating to the licensed casino. The Gibraltar and Kahnawake (Canada) licenses are probably a notch better than the other two although all have attained a certain level of respect within the casino gaming industry. Gibraltar: The British overseas territory of Gibraltar has been offering casino licenses since way back in 1998. Licenses cost just £2,000 per year but online casinos with a Gibraltar license are held to a very high standard and licenses have been taken away from casinos which have not met these standards in the past. Kahnawake: The Kahnawake are part of the Mohawk Native American community and have the power to license local and international casinos. Curacao: The Curacao license is held by a large number of online casinos and sports betting sites, even though this regulator has had something of a ‘hands off’ approach to player mediation in the past. Antigua and Barbuda: In years gone by the Antigua and Barbuda regulator was notorious for offering gaming licenses to any operators which could afford one. However, recently this authority has tightened up its standards and become more respected in the process. The Casino Gorilla gives his gold star award to the following regulators: Malta, Alderney, Isle of Man and the UK Gambling Commission. These bodies impose very tight restrictions upon any casino which uses one of their licenses and insist upon the highest of standards being met. If you are playing at an online casino which bears one of these licenses, you can be sure that any complaint you make will be followed up on by the regulators. Because these licenses are so prized, casinos make sure not to risk them being removed for failing to meet the required standards. Finding the logo of one of these authorities on an online casino page is a stamp of quality. United Kingdom: The United Kingdom imposes some of the strictest conditions upon offline and online betting operators of any country, anywhere. The UKGC are quick to impose fines upon operators which breach any of their rules and insist upon extremely high standards for any online casinos which carry their logo. Alderney & Isle of Man: The same is true of the Alderney and Isle of Man authorities, although you will find far fewer online casinos regulated by these bodies. Malta: The Malta authorities have licensed an extremely large number of online casinos attracted by the option to hold an EU license. Despite the quantity of license-holders, the Maltese authorities have managed to maintain very high standards and they are proactive when it comes to customer complaints. Despite the fact that online casinos have been around for well over twenty years by now, there are still those people out there who just do not trust online casino games. Apart from live dealer games, the games that you see online are animated and powered by random number generating software. This software is calibrated to pay out a set amount so as to replicate the mechanics of physical versions of these games. Therefore, it is very important for players to be able to trust in the games that they are playing online. Without this trust then the online casino industry would cease to exist. One of the ways that online casinos encourage their players to believe in their products is by having respected licenses, and another is by getting their games independently tested. There are bodies in operation which exist in order to carry out tests on online gambling games. eCOGRA is one of the more prominent and respected of these organizations within the online gaming industry but there are others which exist to make sure that online casinos are playing it fair. You will find the certification at the bottom of the page next to where the casino’s regulator is located. Joining an online casino – a respectable one anyway – will involve you confirming your age and identity to make sure you can legally play. This can involve sending important documents such as passport or ID scans, and you need to know that these are being kept securely. Plus of course playing at an online casino involves financial transactions, and you don’t want any problems with your transactions being intercepted. Casinos which fail in either of these regards will find themselves with some major problems as they will not be able to get a respected license and players will stay away in droves. Casinos keep all of this information safe by using secure encrypted software. This means that nobody is able to access information that is supposed to be private and confidential. Reputable casinos will constantly update their software to ensure that it is the latest and most sophisticated available. You can check the security of a site at a glance, by looking at its url. If that begins with https (as opposed to http) it means that the site is secured. You should also be able to see a green padlock or similar symbol which shows that a website is secured. The reality is that because it is so important for popular online casino sites to hold onto their licenses – not to mention their customers – that you will be able to play online safe in the knowledge that your personal details are perfectly safe and secure. One of the most common reasons that customers complain about online casinos comes down to the thorny issue of withdrawals. People get understandably upset when there are excessive delays or when withdrawals are not permitted. Some of this comes down to confusion on behalf of the player. For example, casinos may request ID scans before withdrawals are processed as they are obliged to do if licensed by respected regulators such as the UKGC or Malta Gaming Authority. It may also happen that funds are locked into a bonus and so cannot be withdrawn until a certain wagering requirement has been met. However, there have been incidences when casinos have simply refused to pay out winnings to deserving players. Dodgy casinos have added terms and conditions after the event to justify paying out jackpot wins, and there have been plenty of complaints of unnecessary delays in processing withdrawals. The Casino Gorilla hates any kind of improper conduct with a passion, and only recommends the most trustworthy of online casinos. If you see a casino listed on these pages you can be confident that your withdrawals will be processed in a timely manner without any pointless delays and that you will receive all of your winnings whenever you want to claim them. A good online casino needs to have a good customer support team, as these are the people who will be interacting with their players.  The customer support team is the only human contact players will have with the casino (besides the dealers at the live casino tables) and often if somebody is contacting customer support they are unhappy about something. This is when a professional and friendly customer support staff is vitally important. Dealing with player queries and issues competently and with empathy can lead to an increased level of loyalty to the casino. And naturally, the opposite is true if a customer receives bad customer service. 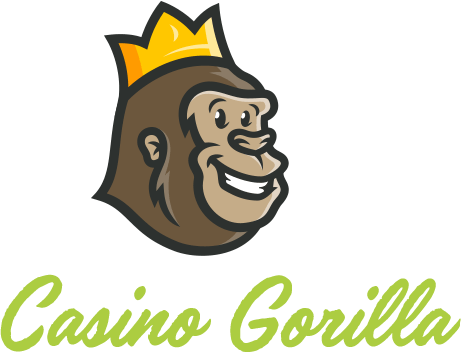 The Casino Gorilla looks for online casinos with a good reputation for customer support and where staff are easy to contact at all times. The track record of online casinos is something that is very easy to check with a minimal level of research. A quick search online will reveal a lot about the experiences of other players with a particular casino as well as any major issues involving the site. The fact is that casinos which have been operating for a long time – say ten years or more – must be doing something right or they would have gone out of business long ago. Don’t worry though, you won’t need to do your own sleuthing into the background of online casinos as the Casino Gorilla has done the hard work for you. The big guy checks out every casino for any issues or problems and is careful to only point our readers in the direction of fair and trustworthy online casinos. As we mentioned above, the age of an online casino can be a good indicator as to both its quality and its record for fair play and security. The online casino industry is a relatively new one, as even the very oldest casinos date back to the late 1990s. With that in mind, any site which has been in business for ten years or more is positively ancient and has obviously been keeping players satisfied for a long time. Of course, that doesn’t mean that new casinos are untrustworthy – everybody has to start somewhere – they just can’t attain quite the same levels of trust as a veteran casino. Reputation is crucial for an online casino, as without trust you will quickly go out of business. Mud sticks, and any improper behavior or actions from the past will remain online just a quick search away. That’s why you are best to follow the recommendations of the world’s best casino-loving gorilla, as only the best get his approval. QUESTION: Are online casinos safe? ANSWER: As with any industry, there are always a few rogue operators which can tarnish the reputations of others by association. Certainly, there have been some scammy casinos around in the past, and there are still some today which engage in dodgy practices. Fortunately, the vast majority of online casinos are safe, and you can certainly trust any casinos recommended on these pages. Plus, don’t forget to check for the casino license to ensure that it is regulated by a respected authority. QUESTION: How can I find a trusted online casino? ANSWER: The easiest way to find an online casino that you can trust is to follow the recommendations of the Casino Gorilla on these pages! Alternatively, make sure to check the bottom of the casino page to look for the license of a respected regulator. If you need further information then an online search will reveal the opinions of players who have used a particular casino, which can be useful when deciding upon which one to join.